The cutest baby and toddler outfits all high quality and made in America. 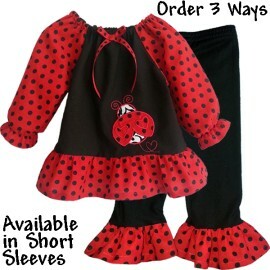 Includes ruffled baby and toddler clothes, pants, bloomers, and tops. Outfits There are 49 products. 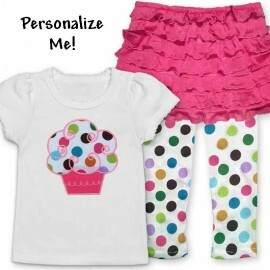 Ruffles, polka dots and a custom letter motif come together to make this attention getting outfit. From play dates to pizza in the park, your little one will be unforgettably cute! Can your baby get any cuter? Yes! When she wears this adorable cat or butterfly pink ruffle baby outfit. 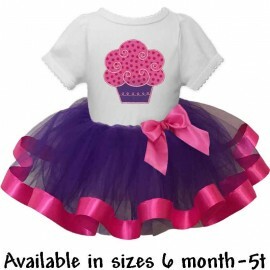 Outfit includes pink and gray ruffle baby skirt with hidden bloomers and your choice of cat, butterfly, or bunny motif T-shirt or onesie. This swing top style ruffle dress is walking cuteness! Matching ruffle baby bloomers make this one attention getting outfit! This ruffled swing top baby outfit will be her new favorite! Your choice of ruffled pants or ruffled baby bloomers. Better yet, choose them both! Also available: pink & green paisley with green polka dot ruffles, blue & purple paisley with blue ruffles, and blue floral paisley with white ruffles. 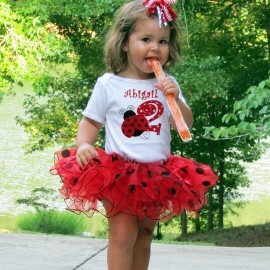 This red and white polka dot ruffled swing top and ruffle bloomers outfit is walking cuteness! 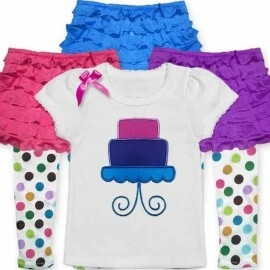 Also available: bright pink & white polka dots, yellow & white polka dots, and purple/teal/green polka dots. 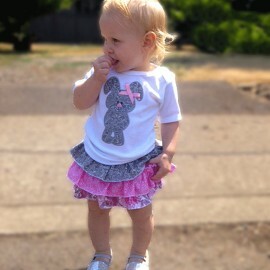 Cute and classy come together with this pink polka dot, black damask ruffle swing top, baby bloomer outfit. Bright pink ribbon adds extra cuteness! This tea stained girls dress is versatile enough to wear all year long! Wear the leggings and vest in cooler weather or just the dress in summer months. 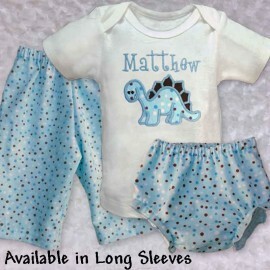 Available in sizes 0-5T. 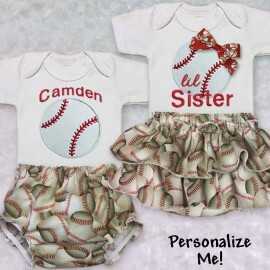 Makes the perfect big/little sister outfit! Choose from the dress only, dress and vest only, or add the leggings for a complete outfit. Stylish and whimsical ruffled baby top enhanced with an adorable butterfly motif. Matching ruffled pants complete this delightful outfit! Available in 6 beautiful combinations including: blue, pink, yellow, and purple. See below for details. 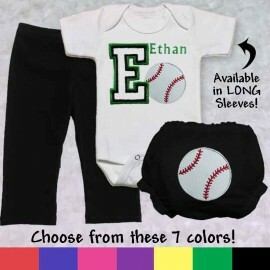 Your baby will look adorable in this teal baby outfit! From the high quality embroidered puppy face to the little ears, people will remember it! 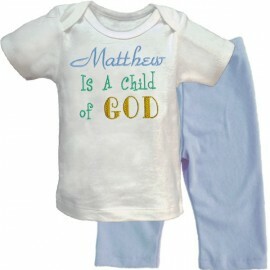 Choose from T-shirt or onesie, long or short sleeves.